It would seem Naughty Whisper are eager to break out of their more glam gothic rock past and take a more traditional metal path than their previous two releases; maybe a change of name might have been the first step? It is always a difficult step to alienate your old fan base and hope you can attract a new one in these more fickle musical times. Vocalist Andy Starr has a sand paper vocal style that lends little to ‘Welcome to My Nightmare’ (not the Alice Cooper song) and the music all sounds a little directionless. 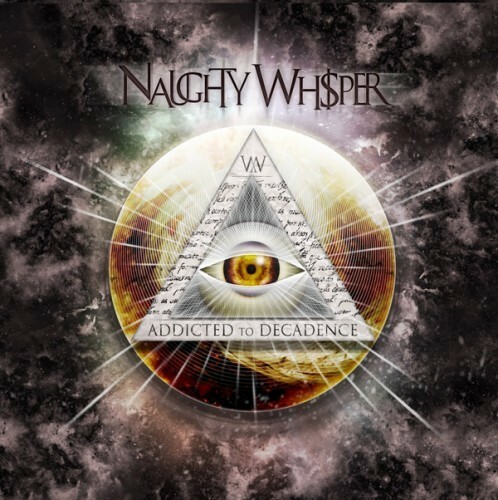 By the time you have heard two songs you pretty much have Naughty Whisper’s sound nailed. Unfortunately ‘Damned to Search’ and ‘Into My Blood’ just lose focus, sure the riffs and attitude are all in place but it just lacks substance. The use of keys in ‘My Own Demise’ will bring the obvious comparison of Nightwish, though the song at least tries to break out of the more familiar patterns of previous offerings. This is a band trying to lose their past and find their future and you can hear the conflict in the songs. For instance, ‘Poison White’ sounds like a Lordi cast off one moment the next something Vain might have produced. There is such a glut of dull mid tempo moments that ‘Venom In Me’ and ‘Borderline’ could have been so much more if maybe the band did not take themselves so seriously in trying to embrace the whole gothic rock style of writing.